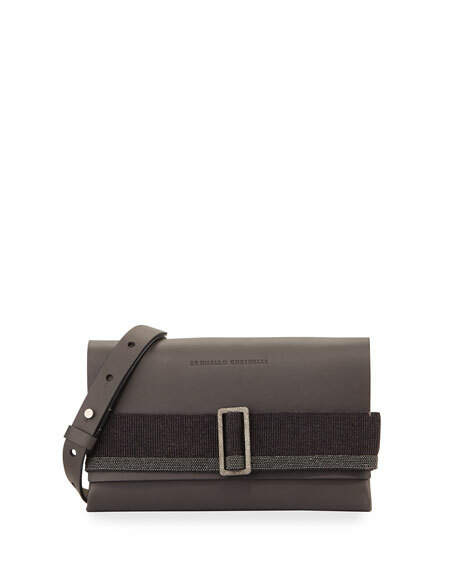 Brunello Cucinelli leather crossbody bag. 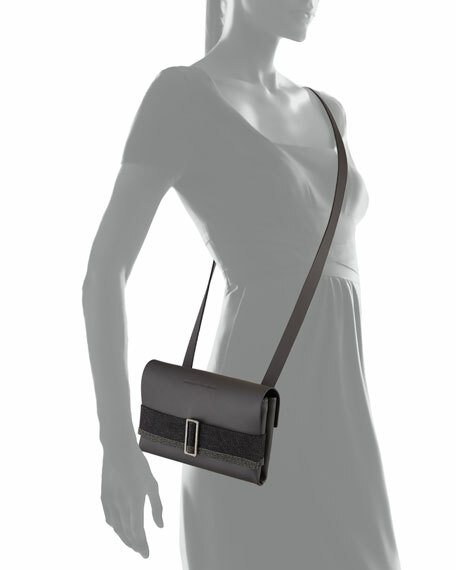 Adjustable flat crossbody strap, 21" drop. Flap top with monili-beaded buckle strap. 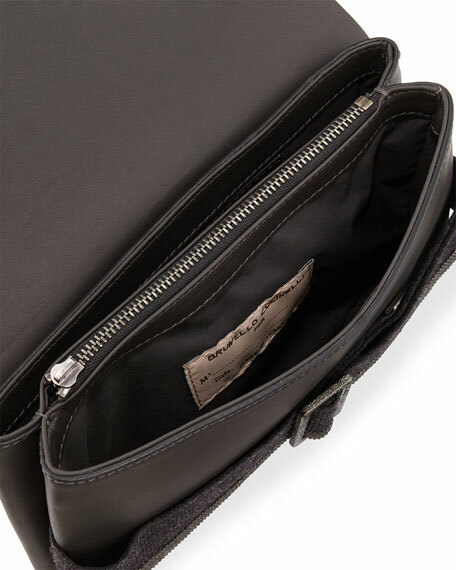 Inside, zip compartment divides center. 4.8"H x 7.8"W x 0.5"D.
For in-store inquiries, use sku #2175253.